NASA is preparing (again) to bring Dawn to the Florida skies as all systems are gearing up for a September 26 launch. This new date is later than had been planned just a few months ago; nevertheless, as we shall see, in the most important sense, this genuinely is not a delay for Dawn’s mission of adventure, discovery, and the search for answers to exciting and important scientific questions. Earth’s next interplanetary ambassador remains on schedule for its engagements. Following the decision in July to reschedule the launch, a complex story described in the previous log and occasionally told with other scary stories around campfires or microscopic black holes in elliptical galaxies, the first priority was to move Dawn from Cape Canaveral’s Space Launch Complex 17B to a safe location so NASA’s bold new Mars explorer, Phoenix, could launch from nearby 17A. After the protective payload fairing (the nose cone) was removed from the Delta II rocket, the spacecraft and mated third stage were detached from the second stage on July 22. They were transported back to the Hazardous Processing Facility clean room at Astrotech Space Operations for safe storage. Since then, the spacecraft has had a very leisurely summer vacation, with little to do but allow technicians and engineers to maintain its readiness while it enthusiastically anticipates the autumnal beginning of its deep space voyage. Meanwhile, the first and second stages of the rocket remained on the launch pad, where they had a delightfully close view of the launch of Phoenix on August 4. Soon Dawn and the third stage will be reunited with the rest of the launch vehicle. One of the keys to success in space exploration (and in some other challenging and complex endeavors of the human species) is careful planning and preparation for contingencies. 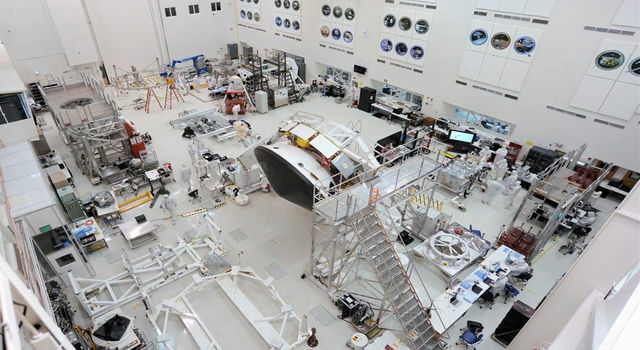 In one example of that, as soon as the crane used to erect Dawn’s launch vehicle malfunctioned on May 30, engineers at JPL, Kennedy Space Center, and United Launch Alliance began detailed preparations for the possibility of a launch in September or October. Had the work not begun as early and as intensively as it did, it is quite likely that it would not have been possible to complete it in time for launching after Phoenix. Even with its uniquely capable ion propulsion system, Dawn cannot conduct its exploration of both Vesta and Ceres if it does not launch before late October 2007. In working out the complex strategies for planning launches, engineers use a great deal of jargon, such as “C3 = 11.4 km2/s2” (C3 equals 11.4 kilometers squared per second squared), “-2? RLA dispersion for a 95% PCS” (negative two sigma right ascension of the launch asymptote dispersion for a 95% probability of command shutdown), or “This project is so cool, I can hardly believe we get paid to do this” (OK, perhaps this last isn’t really jargon, but it is part of the Dawn parlance). Terms that are particularly pertinent to our discussion here are the “launch period,” the interval of days on which a launch may occur, and the “launch window,” the range of time on any one day in the launch period during which a launch may take place. Most interplanetary missions have brief launch periods during which they must take off or pay the price of a significant change in their itineraries. As explained in previous logs, Dawn’s travels are unusual because of the extraordinary capability of the ion propulsion system, which provides a thrust of susurrant gentleness that is more than compensated for by its virtually tireless persistence. With so much maneuvering capability, even though its launch was deferred by months, Dawn’s scheduled arrivals at asteroid Vesta and dwarf planet Ceres are effectively unchanged. The delay in launch does not necessitate a delay in accomplishment of Dawn’s goals, so in many important ways, from an overall mission perspective, the postponement of the launch is inconsequential. Indeed, a complex combination of myriad factors, including the positions of Earth in its orbit on candidate launch dates in 2007, of Mars in its orbit in the first few months of 2009, and of Vesta in its orbit late in 2011, makes the new launch more favorable for the mission. Although still a challenge of astronomical proportion, this will make it slightly easier for Dawn to complete its assignment. This may be translated to slightly greater resilience in keeping its alien appointments should it encounter difficulties on its voyage through the unforgiving and remote depths of space. Now Dawn will follow a completely different launch trajectory and take a different path to Mars. Had it launched in July, the spacecraft would have used Mars early in April 2009 to boost it along its way to Vesta. 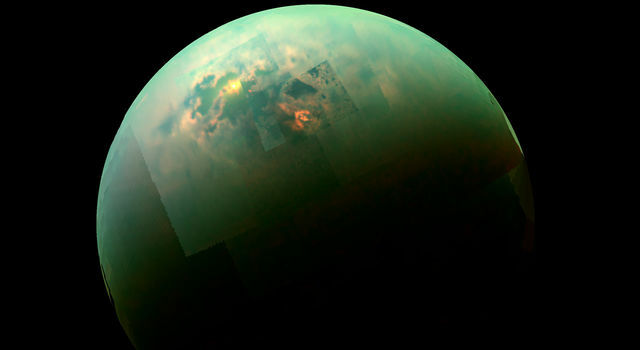 In the new plan, it will swing by the red planet in February 2009. Mars is one of the easiest destinations in the solar system to reach, and Dawn could travel there more quickly if that were its sole objective. Much of the ion thrusting prior to Mars however is designed to aim the craft so that when it reaches Earth’s neighbor, the planet’s gravity slings it in the most effective way to help it in its long flight to distant Vesta. Leaving Earth in September or October lets Dawn gain greater benefit from its brief visit to Mars. Despite remaining with Earth throughout the summer of 2007, Dawn’s new flight profile will allow it to catch up with the old one. The spacecraft will be in the same place in the solar system in the summer of 2009 as it would have been had it launched in June or July. The mission after that will be quite similar to what it would have been with the earlier launch. The principal difference is that to accomplish the mission with the later launch, Dawn will consume a little less of its xenon propellant, so more will be available in case the probe needs to perform unplanned thrusting. Mortal readers are encouraged not to waste time trying to discern a pattern in either the time of the opening of the launch windows or the window durations. The underlying reasons for these values are manifold and complicated, and to avoid violating statutes in some spiral galaxies on publishing dangerously boring text, the explanations will be omitted. Let’s look briefly at just one relatively simple observation: the 19-minute window on October 1 is shorter than all the others. Under certain circumstances that are unlikely but possible, an earlier launch window opening on that day would make Dawn pass close enough to the moon less than 28 hours later that the gravitational deflection of the spacecraft could only be compensated by significantly more ion thrusting than planned. Rather than take the small risk of incurring this minor complication in the mission, the window was shortened. On all other days in the launch period, as the spacecraft departs Earth in roughly the same direction, the moon will be elsewhere in its orbit so it will not cause as much interference in the trajectory. Still, the moon’s gravity is included in all analyses. Demanding as it is, there is more to replanning the mission than designing new trajectories for the rocket and the spacecraft. Because the geometry for the departure from Earth has changed so much, the Dawn operations team has had to redesign many of the activities scheduled during the early part of the mission. The location of the spacecraft relative to Earth and the Sun will be quite different from what had been planned, so onboard instructions for how to orient in order to achieve certain objectives must be modified. While Dawn itself has spent an unusually quiet and leisurely time at Astrotech waiting to be reunited with its rocket, mission controllers have been very busy indeed developing new plans and the corresponding sets of commands for the first few months of the mission. To maintain proficiency for launch, the team also completed another set of simulations of the final 16 hours of countdown, launch, and the first day or so of flight. Most of the week of August 27 was devoted to a slightly shortened version of the ORTathon that was conducted early in June. Differences from the first ORTathon included not only the launch time and trajectory, but also a new set of fiendish surprises injected by the simulation supervisor and a modified (and, in this participant’s careful analysis, a superior) selection of snack food in mission control. One regrettable consequence of the changed launch conditions is that the timelines presented in the June 23 and July 5 logs will not apply for the new launch period. This threatens a lucrative deal negotiated with importers of the stone-engraved versions of these logs on icy asteroids in most irregular galaxies. Therefore, in the coming weeks, when the relevant analyses are completed and the new data are available, those logs will be reposted with the only changes being those that are essential to bring them up to date for the new launch plan.